Just so you don’t think I am too partial to Ecoist bags I decided to give you another eco-fashion that I am currently crushing on Hello Purtty!!! The Lavender Necklace by Lotus Jayne has style and originality written all over it. The colors are quite fall/winter and can go with a dressy out fit or you can dress it down. About:Looking for a special gift, or perhaps just for you? Well, we think we’ve found it in this very unique necklace, so delicate it looks as though a forest spirit wove it. Crafted from cut glass crystal, glass pearls, and seed beads by Guatemalan women in a beading tradition passed down from mother to daughter for hundreds of years. Handmade in a fair trade workshop in Central America. I know you are probably getting tired of me constantly writing about Ecoist products but I really can’t help it. I know Halloween is over but I am in love with this bag like you cannot believe. Halloween is my favorite holiday and this bag is soo super cute!! I will keep it short and sweet I just wanted everyone else to fall in love with this bag like I did! The design stays true to the usual Ecoist form but the pattern is super cute and perfect for more than just Halloween, I think anyway. You should get one for yourself now before they are sold out. You know next year Ecoist will come out with something newer and even cuter (if that is possible) for Halloween so grab yours now! I have written about From War to Peace before and will continue to write about them until everyone has at least one item of theirs in their possession! Besides their exceptional customer service and their unique designs, I have the utmost respect for what they do. Founders Paul and Sandee Ogren shared a dream of a world without war. They dreamt of a world where bombs are turned into beauty, hate into love, and war into peace. From War to Peace is their attempt to help make that dream a reality. We recycle copper from disarmed nuclear missile systems to create Peace Bronze, the most precious metal in our world. We use it to make glorious art and jewelry for those who share our commitment to a world without war. From War to Peace is a green company. We recycle everything, making the old newly useful. Our silver- and gold-plated pieces are created entirely from recycled metals. Our printed paper is all recycled. All plastics we use are biodegradable. Our Peace Bronze itself is recycled from missile system cabling. Even the server hosting our website uses solar technology to power its computers. From War to Peace is a uniquely American company. The copper we use was originally mined in Montana, then used in the Midwest as wiring in nuclear missile systems before being disarmed. After recovering the copper, the Peace Bronze is made for us at a California foundry. We use casting foundries in New Mexico & CA for our casting. Local artisans turn it into jewelry and art objects here in the U.S.A.
From War To Peace dedicates 20 percent of all FWTP profit to deserving peace and social justice organizations in the U.S.A. and around the world. Since I have such a crush on From War to Peace and I want you to have one too I have I am holding a contest to give away The Spiral Peace Bronze Necklace so you can be just as in love as I am! Click here to enter my From War to Peace Contest! The spiral is perhaps the most ancient of all artistic symbols, originating before the Bronze Age. In Incan, Celtic, Aboriginal and other historic cultures the spiral represents continuation, a sense of the infinite. An original design by Jack Biesek. Each pendant is 1 3/8″ in diameter and weighs 6 grams. I have a thing for lemons, limes and oranges. I used to photograph them all of the time and slice them up in different arrangements, put lights on them and snap away. I have always had a liking for all 3 fruits less for eating and more for their vibrant colors and shapes. I am not sure why but I think they are beautiful to look at now I can wear them! I love it. The Literally Orange Earrings are actual orange slices coated in a resin for preservation that you can wear and they won’t go bad! How awesome is that! Talk about using natural resources right? When you purchase the Literally Orange Earringsyou are helping Chilean artisans create an income for their families and communities. Your small purchase can go a long way. Gifts With Humanity is an incredible organization that focuses on helping communities capitalize on their art or craft where the locals otherwise couldn’t. Always remember to think about the impact your purchasing power really has! These thin slices of orange are coated in resin to preserve their color and shape. They even have a citrus scent! Pueblos del Sur artisans in Chile created these orange earrings by hand as an income generating project. The earrings measures about 2 1/2 inches in diameter and hangs from a silver nickel hook. How amazingly cute is this dress from Bamboo Styles! I absolutely love it! It is only $28 and guess what….MADE OUT OF BAMBOO!! Super cool right?! I love hoods I have no idea why but I do and the 3/4 sleeve and stitching make me need this Bamboo Hoodie Dress, like yesterday. 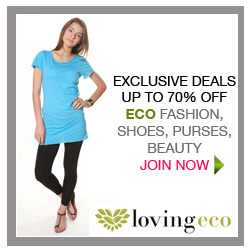 Usually, most of bamboo or even organic cotton clothing is very plain and crunchy looking. The pieces that have a little attitude to them are usually crazy expensive. I really do appreciate finding stylish clothes that are priced right and sustainable for our environment. I am glad to see a company such as Bamboo Styles appreciates this as well. Bamboo Stylesdoesn’t offer a huge selection of men’s or women’s clothing but the items they do offer I happen to think have a little flare to them which makes all the difference to me.